Even though they’ve moved, they kept the same warm, friendly service, deliciously decadent menu and surprising music. 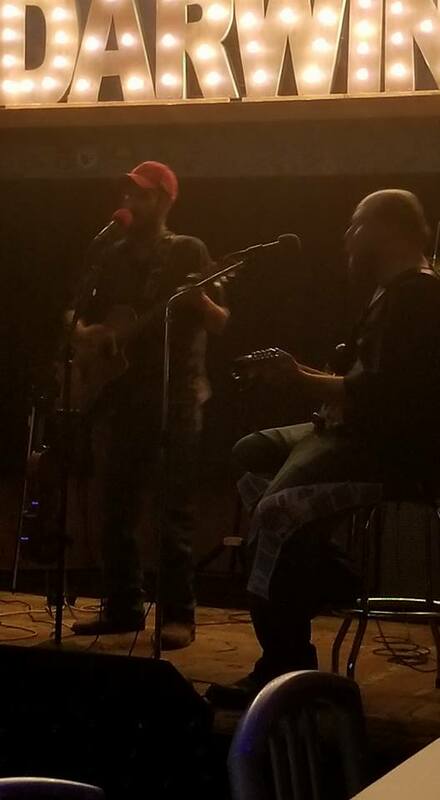 We mean, where else does the server also sing in the band right after bringing your check? Not only is Philip an excellent server. He has a very nice voice too. In the spirit of full disclosure, this isn’t the Swan Coach House. If there were a rating system for restaurants and “southern, ladies-who-lunch places” were on one end of the scale and “biker bars” we’re on the other end of the scale, this would be closer to the biker bar end. In other words, if tattoos bother you, don’t go. However, if you like good food, warm hospitality, extra-mile service and live music, give it a try. Sometimes it’s good to get out of your comfort zone and try something different. We’re glad we did. 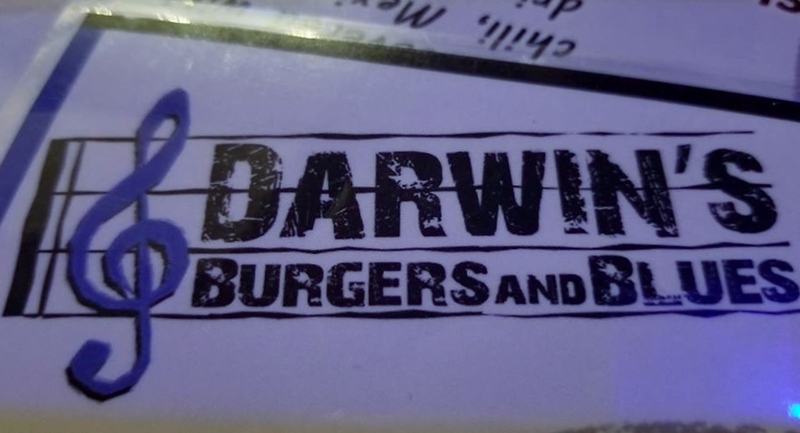 The menu consists of mostly typical bar food, but as Darwin’s advertises, it’s bar food evolved. They’ve managed to tweak simple appetizers and burgers in a way that makes them special. It’s the bar food you’d make if you were doing the cooking. Everything we tasted was yummy. The appetizers are so good that two of the Picky Peaches made a meal of just appetizers. 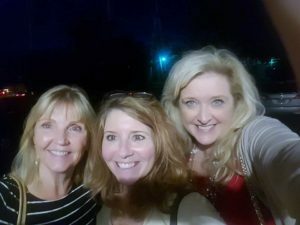 Somewhere along the way, it became a rule that the Picky Peaches had to order pimento cheese every time it was on a menu. So, when we saw Pimento Cheese Dip on Darwin’s menu, we had to have it. We’re so glad we did! This house made, divine creation is made with three kinds of cheese and roasted red pepper. 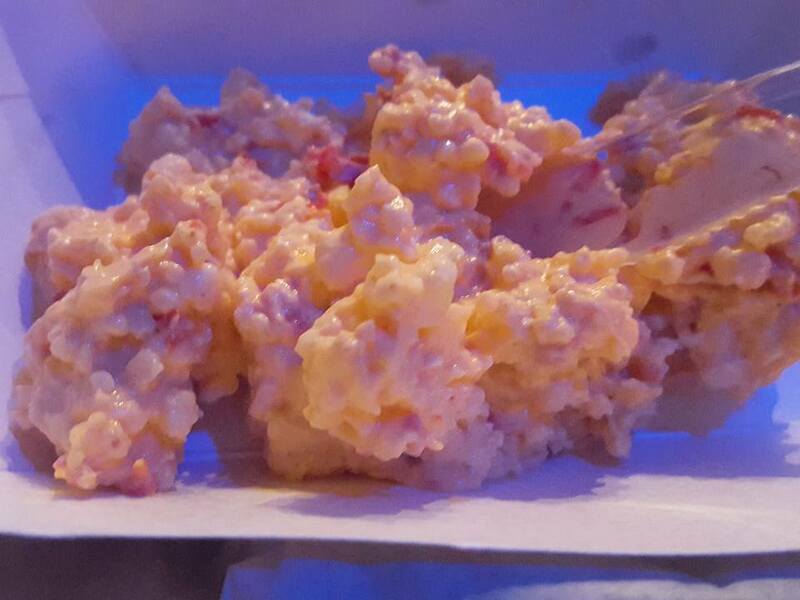 It doesn’t contain pimento peppers at all, but calling it pimento cheese is much easier than creating a new name and having to explain what it is every single day. It’s served with warm, house made, deep-fried flour tortilla chips. This mouthwatering combination is worth every calorie. 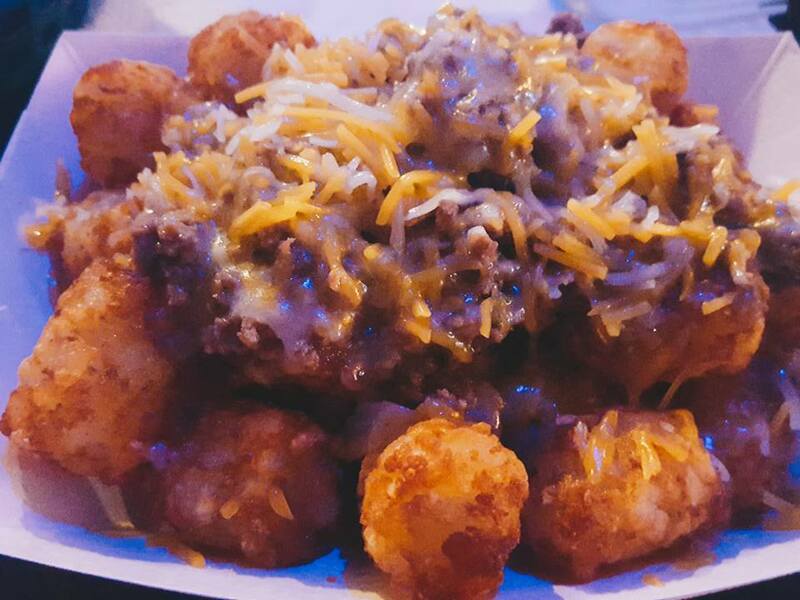 We hope the toughest decision you have to make all day is whether to order French fries or Tater Tots in your Chili Cheese Fries/Tots. We suggest the tots. Their texture tends to hold up better with a mound of toppings. Darwin’s chili and Mexican shredded cheese are served atop the potatoes of your choice. Don’t let the relatively small tray fool you. This appetizer is plenty to share or you can make a meal out of it. It’s very filling. 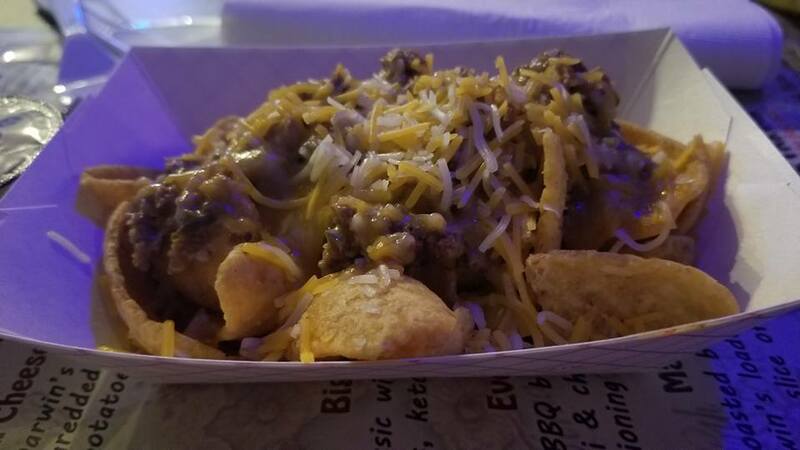 For a culinary blast from the past, try the Frito Pie. This comfort food mixture of Fritos covered with Darwin’s house made chili, Mexican cheeses and a drizzle of ranch dressing is so good! It never tasted like this in Home Economics. While the portion size isn’t gigantic, it’s plenty for a meal, especially if you order another appetizer or side item to go with it. 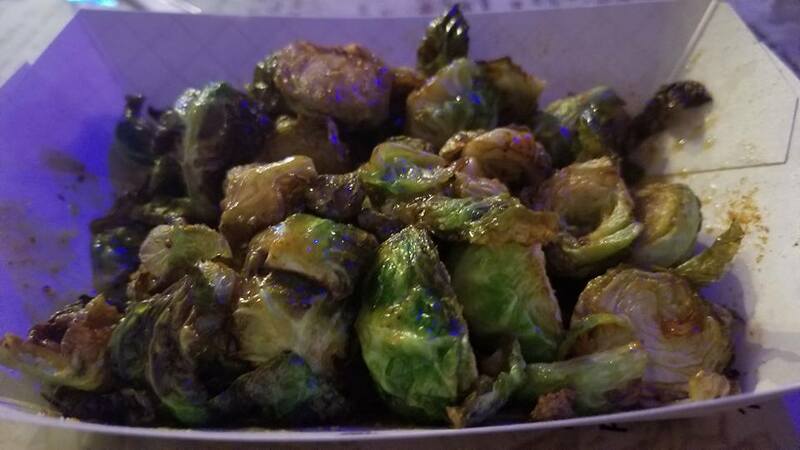 We suggest the Fried Brussels as a tasty appetizer or side dish. These deep-fried gems are served a little crispy around the edges with a honey mustard drizzle. Bet you can’t eat just one! 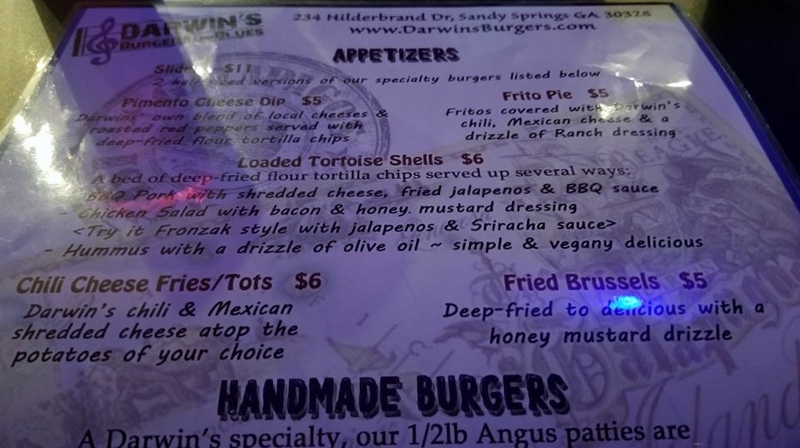 Burgers are the house specialty at Darwin’s Burgers and Blues, and we can certainly see why. Each burger is 1/2-pound Angus patty, seasoned, rolled and smashed fresh every day. For something truly delicious, try the Evolution burger. 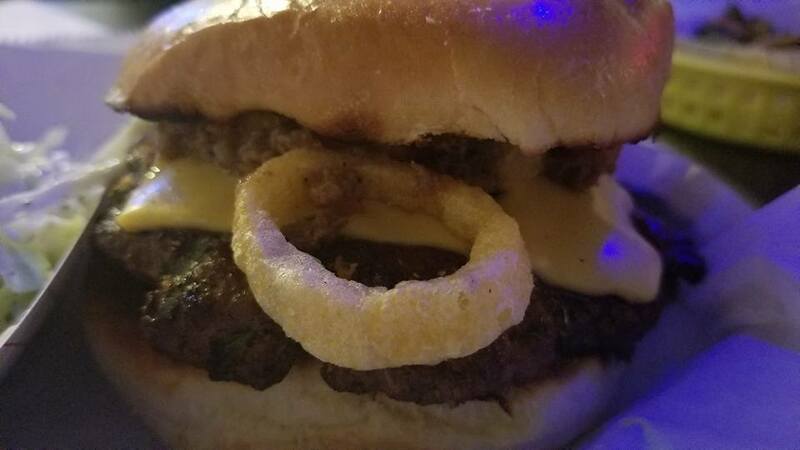 According to their menu, “This BBQ burger with Funyuns, chili and cheese will have you questioning the laws of creation.” We don’t know about that but we do know that it’s the epitome of juicy, flavorful goodness. 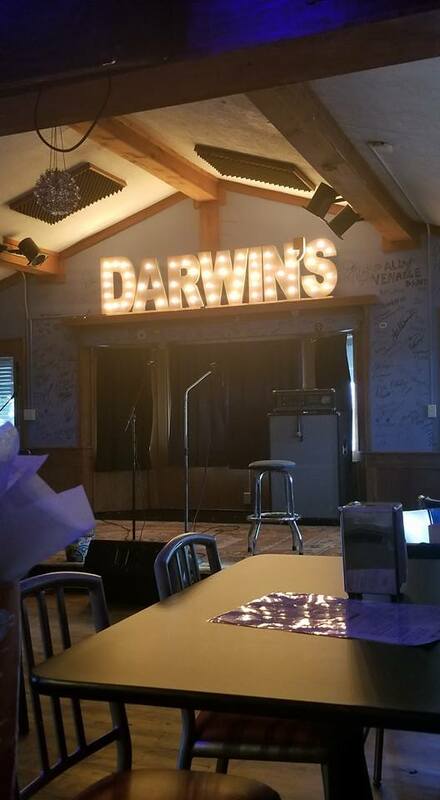 Note: When you go, it’s easier to find Darwin’s if you approach it from Roswell Road. The sign isn’t visible when approaching from Sandy Springs Circle. 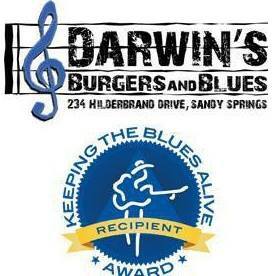 Darwin’s Burgers and Blues, 234 Hilderbrand Drive, Sandy Springs, GA. 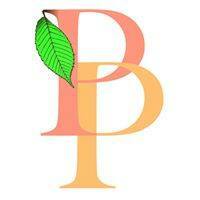 Hours: Tuesday – Saturday 11 a.m. – 1 p.m.; Sunday 1 p.m. – 9 p.m.; Closed Monday. Join us next time as we take a trip down Memory Lane. We’ll be showcasing some of the highlights of our travels this past year. We’ll also share some of the “outtakes” from behind-the-scenes that didn’t make it into the original blog posts. Some are funny, some are a little scary and some are just unbelievable.